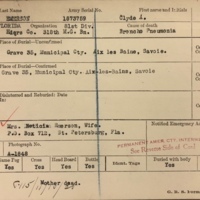 The register of burial card for Clyde Emerson (1890-1919). 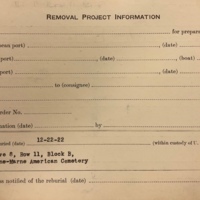 One side of the card describes where Emerson was originally buried and lists his emergency address, while the other gives the location of his reinterment. His body was reinterred after the end of the war. 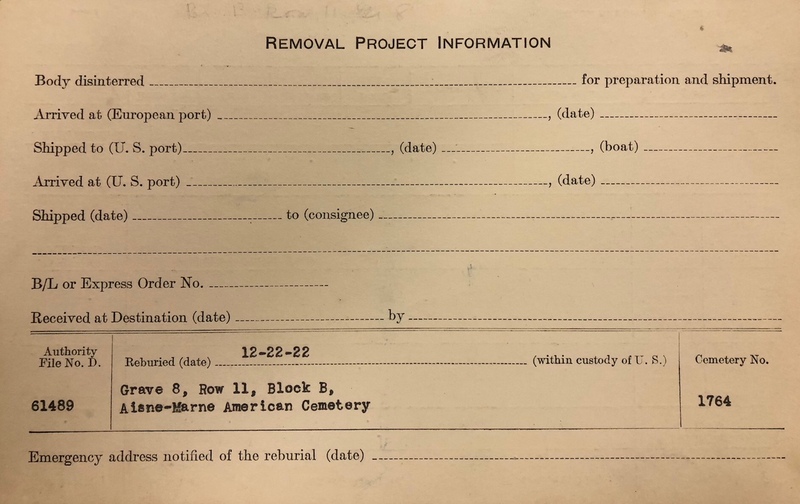 Card Register of Burials of Deceased American Soldiers, 1913-1922, NH-81 1945. Originally created and published by the War Department, Office of the Quartermaster General, Grave Registration Service. War Department, Office of the Quartermaster General, Grave Registration Service. 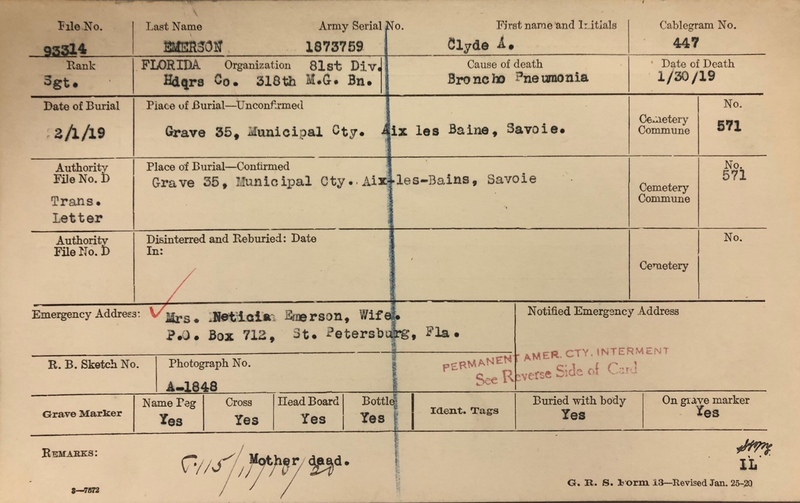 “Register of Burial for Clyde Emerson, 1922.” RICHES of Central Florida accessed April 18, 2019, https://richesmi.cah.ucf.edu/omeka/items/show/10390.